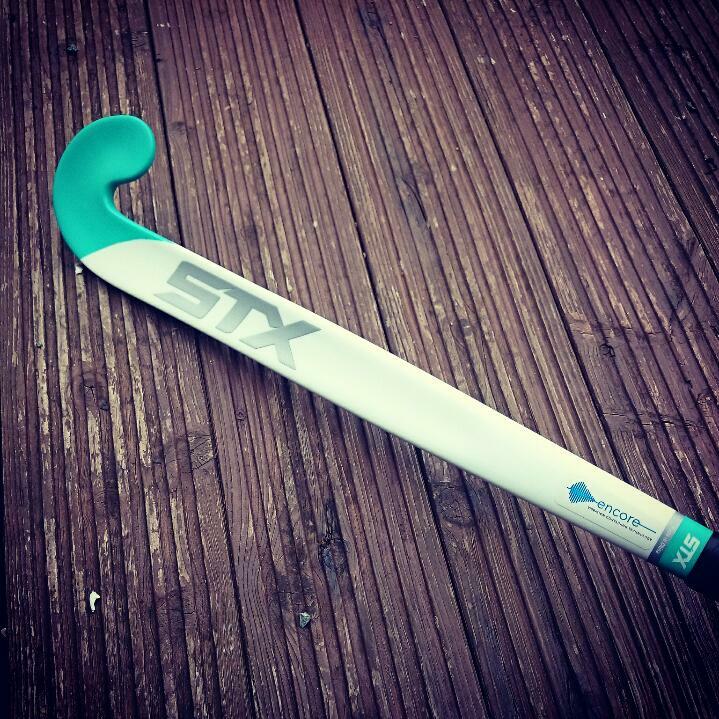 STX are hockey gear innovators hailing from the USA. They’re a company that strive to make the absolute best field hockey equipment that’s not only cutting edge, but enables their athletes to play the very best game they can, and all because they have faith in the stick they play with. Although STX are a relatively new company here in the UK, they bring their years of experience over from the US and are going to send tremourrs through the hockey world as they’re a force that’s not only creating magnificent sticks, but their meticulous attention to detail and dramatic designs are going to wow all hockey players, from beginner to advanced. STX currently sponsors two England athletes, Shona McCallin and Sam Ward. Shona is an integral part of the England ladies side as well as having captained the under 21’s side at the Junior World Cup back in 2013. 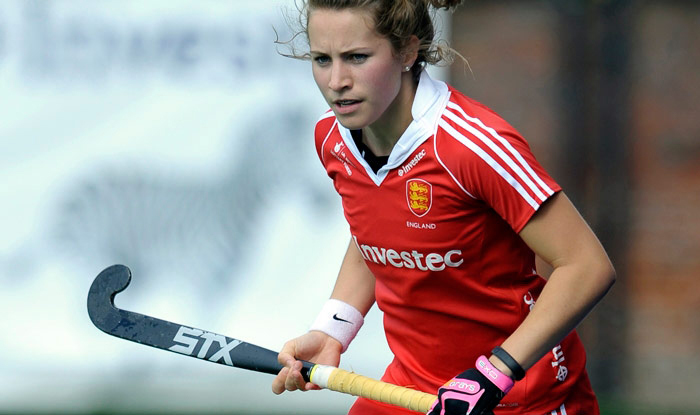 Sam plays for Beeston and was hailed the top scorer in the English Premier League as well as being a prime member of the England National Indoor team. STX also sponsors the fantastic Katie O’Donnell, who has been a member of the USA national team since 2005, making her a seasoned hockey player, and a stand out athlete, especially after the 2014 World Cup where the USA displayed a courageous and invigorating performance on the world’s stage. With these ambassadors leading the way in showcasing the spleandours of STX, it’s time for the UK to take note and see what the new kid on the block has to offer. The STX Surgeon 500 is part of a 5 stick ‘Surgeon’ collection, where the sticks are designed for all types of players, from defenders to beginners, to advanced forwards. The STX Surgeon 500 is a breath taking piece of kit that’s created with advanced fowards in mind. It comprises of 95% carbon, 5% aramid and has a Karakal grip, has a ‘late’ bow (low bow) and a ‘maxi toe’ (j-head). If you’re wondering about the weight, it comes at a solid 526g (for 36.5″ stick) (approx weight) and is really a sturdy stick that will give you confidence when striking. 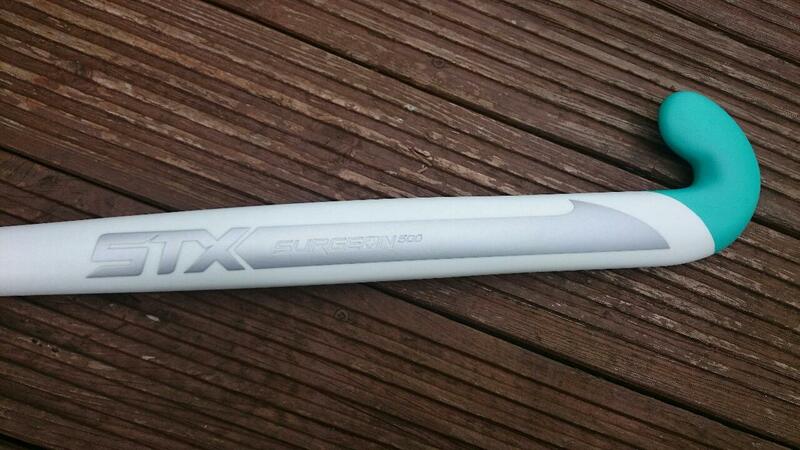 As I’ve just mentioned, the stick is sturdy, solid without being heavy, strong without being bulky. They innovators over at STX have fashioned together a hockey stick like no other, it’s a stick that you know won’t snap, no matter how hard you strike the ball. It’s almost as if they’ve not used carbon at all, but some form of enamel! 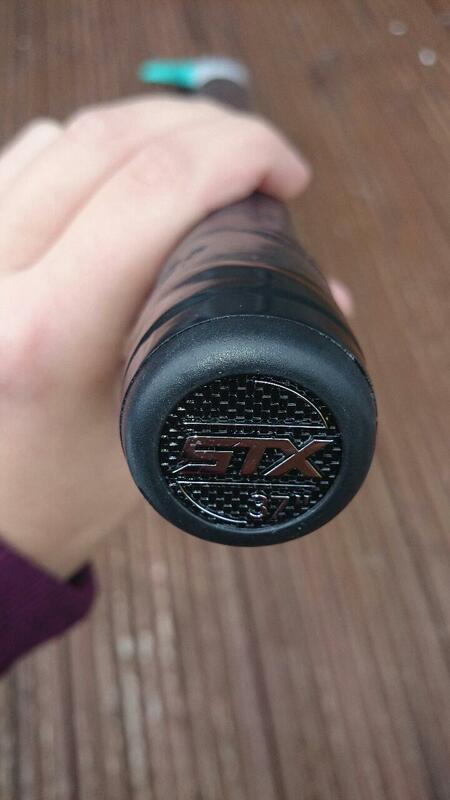 The only down side is that the grip doesn’t feel as luxurious as expected on such a high calibre stick. Don’t get me wrong, it won’t slip out of your hands when the Autumnal British rain cascades over the astro turf, it just left me feeling a miniscule sense of disappointment. However, that’s just the grip and the rest of the stick makes up for it ten fold. I actually can not believe I found the stick I was envisioning since about March last year. I was desperate for a gleaming white stick and I couldn’t find anything of the sort apart from an Osaka stick that was aimed towards the junior market, and that wouldn’t suit my style of play. When I discovered the Surgeon 500, my heart started to race a little as I found ‘the’ stick, the stick that holds so much promise and looks utterly fantastic. It’s a design that’s cutting edge, fresh and completely unique. The silver scalpel blade that runs down the body of the stick contrasts wonderfully with the bone white finish and the swish of hospital green on the head just marries all aspects of pristeen, clinical excellence of the design. The head itself is a little rougher to touch than the rest of the stick, with a ‘sand paper’ feel to it in order to absorb some of the friction created when the ball hits the stick and offers excepetional control. What’s completely unique about the Surgeon 500 that I’ve not seen on any other stick before is the fact that the flat side of the stick looks as if it’s been carved a little, so it dips inwards as a small dish would. This is brilliant! It aids control dramatically and helps trap the ball like no other, giving the ball a place to nestle into. Although I’ve touched on this a little already, I still can’t get over the sensational playability the Surgeon 500 offers. It’s design enables you to control the ball effectively, trap it effeiciently and your technical skills are silky smooth when holding this stick. After taking it to training a couple of days ago, the whole team was gobsmacked by what I brought with me and all decided to have a go. There was a resounding sense of appreciation and utter disbelief to what the stick offered with regards to playability, especially from a company that’s very new to the UK. I’d say around 90% of the girls were vastly impressed and would consider a STX stick for their next purchase. But what about the striking? Was there a stinging sensation zapping across your hands after you hit it? Are you worried about the rattle that might occur if you smash it too hard? No! There was no sting whatsoever, and the stick is so solid I don’t think it can rattle. I was sent a 37″, yep not a 37.5″ but a 37″, which is hugely special to STX because it echoes it’s belief of not being the ‘standard’ hockey stick, and it was a great length to hit the ball with. The ball absolutely screamed into the goal at a blistering pace with less effort than you’d expect! If you’re a forward, then this is definitely the wepon of choice for you. @scoophockey @STXFH I used one tonight! Hits the ball like a rocket! I don’t think I’ve been so impressed by a stick, and a company, for a while, especially due to it’s innovative approach to creating a brand new hockey experience. The Surgeon 500 contends with some of the most expensive and advanced sticks on the market and definitely holds its own. With sticks like this on their product line, I don’t think STX will have a problem whatsoever in cracking the UK market and whoever will invest in an STX stick will indeed, play huge.